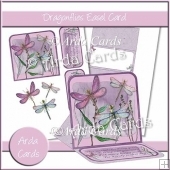 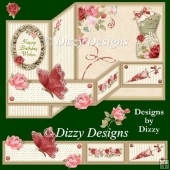 A beautiful complete card kit with pink roses and butterflies on an embossed background. 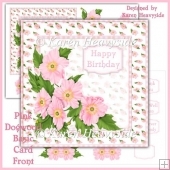 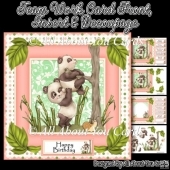 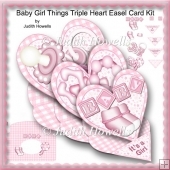 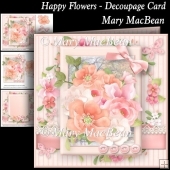 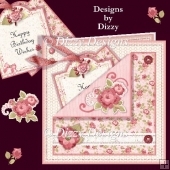 The kit includes an envelope, decoupage pieces, insert and greeting plates for HAPPY BIRTHDAY, ON MOTHER'S DAY, HAPPY ANNIVERSARY, ON VALENTINE'S DAY, GET WELL SOON and BLANK for any other wording/occasion. 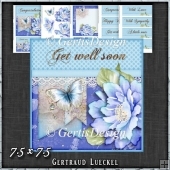 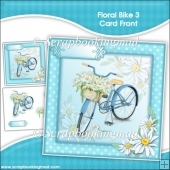 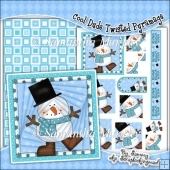 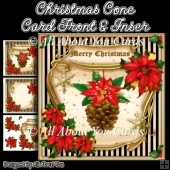 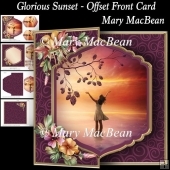 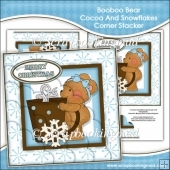 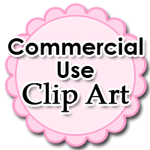 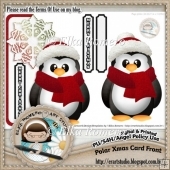 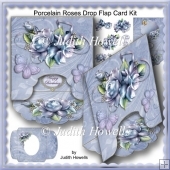 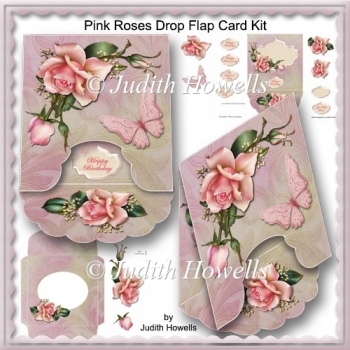 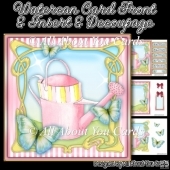 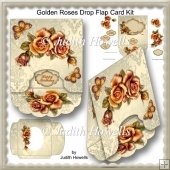 There are 5 sheets in the kit: 1 Card Front with Decoupage, 1 Card Base with Decoupage, 1 Insert, 1 Envelope Front and 1 Envelope Back.